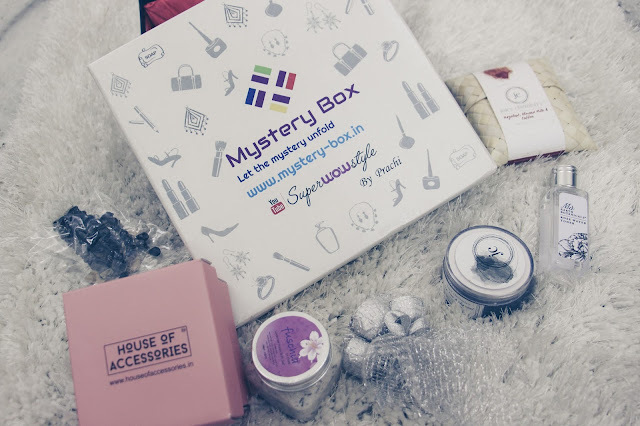 Mystery Box is a monthly subscription box that costs 1499 INR and comes with interesting beauty, fashion and accessories. 1. 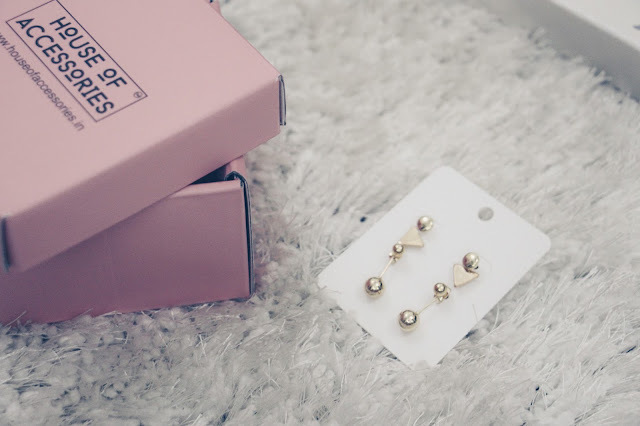 House of Accessories: Starting with this cute little pink box that came in my Mystery box . It come with these beautiful 3 set of earrings. I see myself wearing them all the time. 2. 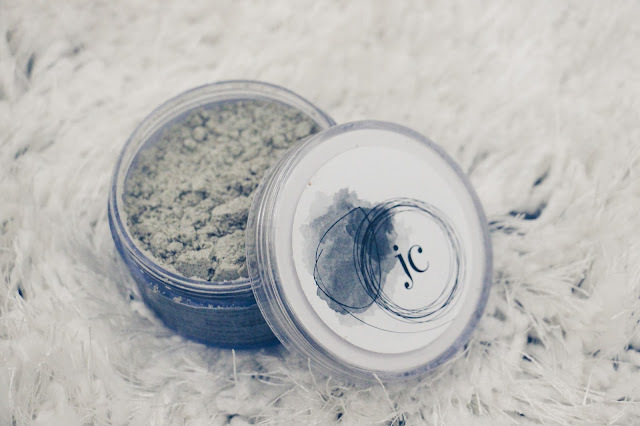 Juicy Chemistry Tea Tree & Charcoal Face Mask: You guys know how obsessed I am with face masks. Juice Chemistry is a all natural, organic brand that makes high quality skincare. This is a face mask specially made for acne prone and oily skin. Sadly I have it, so ai cant wait to try it. 3. 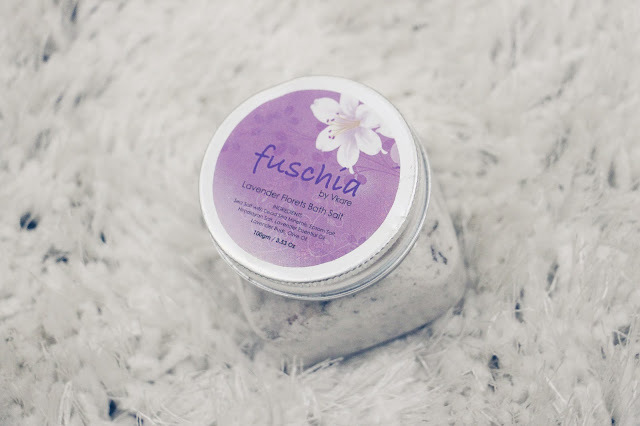 Fuschia Lavender Florests Bath Salt: Next product from the box is another all natural product, something that I love, a bath salt. The bath salt smells so good, one can see real lavender flowers in there. Cant wait for a hot bath with this baby. 4. 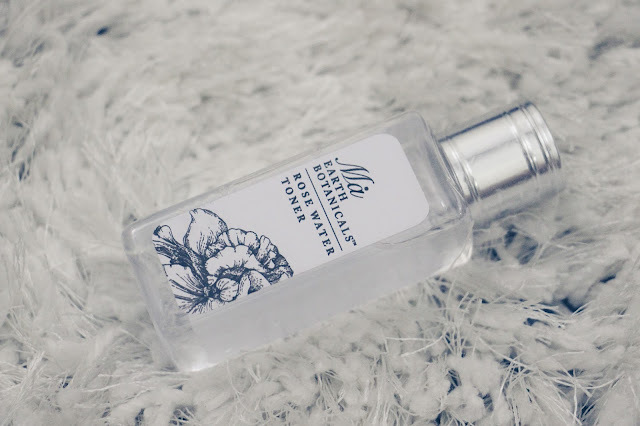 Mai Earth Botanicals Rose Water Toner: I love the brand Mai , its all natural and organic. Have used their face mask and it was just amazing. The rose water toner smells like one us standing in middle of rose garden. Have super high expectations from this bad boy. 5. Juicy Chemistry Hazelnut, Almond Milk and coffee: Now this is one product that I am so excited to try out. 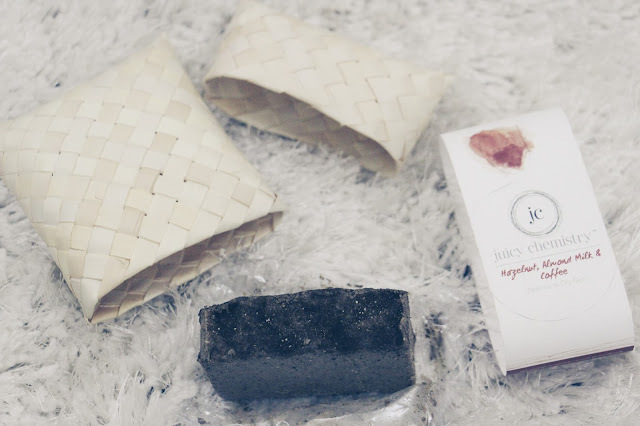 Its a hand made soap, looks so cool. 6. Yes, there is still more. There is another piece of jewelry. A black lace necklace with black dangling stones. 7. Lastly, Ofcourse we have some chocolates. Its their Anniversary box, so ya. And that finally is all my October Mystery Box. Have to say, they really hooked us up with so much stuff in one box. 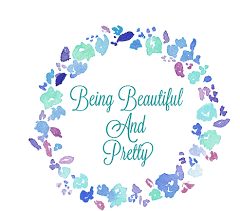 All the stiff us very useful, love all natural and organic skincare. 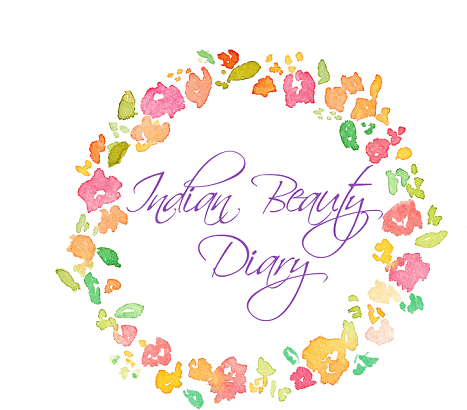 If you are looking yo try a lifestyle subscription box that brings you the best in beauty, fashion and accessories, do check out Mystery Box. I am going to forget about the accessories for once, wish I can try the skin care products. Love them truly. I am going to try this one. I hope this will works better than other.